Often termed the country’s “silent renewable,” hydropower is the nation’s largest renewable electricity resource, providing 7% of total generation. Hydropower’s many supporters – 81% of U.S. voters favor maintaining existing hydro, according to a recent National Hydropower Association poll – value its low-cost, reliability and ability to integrate intermittent renewable resources. Critics argue that hydropower is not environmentally-friendly and, if included in state Renewable Portfolio Standards, will reduce the growth of renewables like wind and solar power. Historically, the U.S. Army Corps of Engineers and the Bureau of Reclamation built the vast majority of major federal dams with integrated hydroelectric generating plants in the United States. Hydroelectric dams contribute billions of dollars each year in revenue to the U.S. Treasury and provide enough generating capacity to power 72 to 96 million homes (NHA) across 38 states (EIA). However, many of these plants are operating well beyond their design life, and as a result, experiencing decreasing reliability. Moreover, high operational demand from a new era of integrating variable generation and evolving energy imbalance markets is increasing the prevalence of costly unplanned outages. At the national level we need to prioritize hydropower and reaffirm its place in the conversation about renewables. Significant capital is necessary to rehabilitate and modernize the United States’ hydroelectric dams for reliable operation well into the future. Unfortunately, funding streams in the federal budget over the past 20 years consistently have been inadequate to maintain this entire critical infrastructure at acceptable levels of performance and efficiency. What role should hydropower play in the nation’s energy future? Should there be a greater emphasis on funding the rehabilitation and modernization of hydropower dams? What are the implications of the aging hydropower dam infrastructure on the nation’s economic growth and energy security? What role should hydropower play in the nation’s energy future? What are the implications of the aging hydropower dam infrastructure on the nation’s economic growth and energy security? By Stephen Spain Vice-President, HDR Engineering, Inc. The natural limitations of traditional hydro power are clearly evident. With climate change some of the existing locations also have new problems with water reserves that limit their capability to generate the power they have in the past. That being said the funds to renovate and improve the efficiency of these systems is critical to our national energy policy. My difficulties with hydro power generation is the extremely limited scope of funding concerning the non-traditional sources who presently are left totally to their own devices. Non-traditional hydro offers something that wind, solar, wave and tidal cannot. They offer base load power with the rare capacity to generate at 100% capacity 24/7/52. In some ways they offer the same advantages over traditional hydro power for most dams are limited in the duration of their generation, for example Hover is only capable of generating less then 20% of the time due to water restrictions and that is more the rule then the exception. By non-traditional sources I am referring to Run of Rivers systems and Ocean Current systems. With both you get the benefits of a traditional dam without the cost of building the dam. My Group has designs for both conditions that could meet or exceed the performance of new carbon or nuclear based energy with minimal environmental problems. Units that would be base load and operational for 25+ years installed. Both of these systems are not limited by either fuel cost or the Supply/Demand Curve that limits all other carbon, nuclear and traditional hydro sources that are water supply limited. On average together these systems only generate at about 40 to 45% of their total capacity. Fuel being the major variable factor. When you can generate 24/7/52 at near 100% capacity there will come a time when you can generate more than your grid demands. Then you have the capacity to supply a variable demand that unlike the smart grids that is an expense, one that is a profit generator. That would be the utility scale generation of hydrogen. If you can pay for your capital and your operations by your on grid performance than your remaining 55 to 60% of capacity could be considered free. You can also do this at a far lower cost than the smart grid with far more stability. This capability could also be mated with synthetic fuel technology to allow the production of critical hydrocarbon fuels that would be totally carbon neutral. Overall you more than double your capacity of utilization which in the long run should both lower energy costs and provide additional profits. This is an area where few are looking and perhaps they should be. Hydropower and the other water energy technologies (tidal, wave, ocean currents and thermal) are vital in providing a 24 hour, no waste, zero-emission energy solution. Existing hydropower dams can be retrofitted with higher efficiency and even more fish-friendly turbines — why wouldn’t we want to get more energy out of an energy infrastructure we already have ? Pumped storage could be a way we stabilize electric rates and provide more capacity for solar and wind on the electric grid. Freeflow hydro, which requires no dams or diversions, can be an important player in providing electricity closer to US population centers (even using water and sewage pipes). And the ocean energy technologies can conservatively provide 10 percent of US energy according to an EPRI study. The United States and the world needs a more strategic and coordinated view of water energy and employ approaches that do not negatively impact ecosystems, encourages commerce and recreation, and also provides clean energy. The potential is huge if carried out thoughtfully, rather than in the haphazard fashion we have done so in recent years. Do we need hydropower and the other water technologies to address greenhouse gas emissions, Clean Air Act emissions, and constraints of water for thermal-electric power systems ? Absolutely. Yes, there are many opportunities to rehabilitate the existing hydropower infrastructure with state-of-the art technology for this ultra-mature operation. This technology modernization includes higher efficiency turbines that generate more energy, use less water and are more fish-friendly. For example, by overhauling and uprating G21-G23 turbines in Grand Coulee’s Third Power Plant, up to 500MWa can be generated with the same water flows. Nearly all of us in the energy industry will completely agree that hydropower has an essential role in a low carbon energy future. Hydroelectric plants have generated 2/3 of all renewable electricity in the U.S.
An excellent EPRI report from 2013 characterized the value of hydropower in the electric grid. Operational improvements including plant efficiency improvements and using hydro resources to address load variability in the power system would result in increased revenue. As others have already pointed out, improved turbine designs and fish friendly intake structures along with adjustable speed drives for pumped storage would be important technology improvements. DOE has been assessing the potential for energy recovery in the nation’s existing powered and unpowered dams as well as untapped streams. There are 80,000+ non-powered dam facilities in the U.S. and over 50,000 of those non-powered dams were deemed suitable for powering, which could add 12 GW of new renewable capacity. From stream-reach development alone, it is estimated that another 65 GW could be developed. Because hydropower is unique among renewables in the ability to provide baseload as well as grid regulation service (pumped storage), optimization of this resource is important to long-term carbon reduction goals. Energy policy should value powering and improving existing dam infrastructure. The Hydropower Regulatory Efficiency Act passed in August 2013 was a good start toward streamlining the FERC relicensing process. Nearly one-quarter of the existing 2,000 hydropower licenses and exemptions issued by FERC will expire within the next 15 years. Reducing permitting costs and time burden is essential. Allocation of infrastructure improvement funds for the many municipal-owned hydroelectric dams would also be a good step. And electricity markets could play an important role, for example by valuation of fast regulation response and establishing sub-hourly markets. California’s politicians neglect their opportunity to get water storage for droughts and save 12 billion dollars on electricity, by using hydro from existing Canadian dams, already built and partly paid with California taxpayer dollars, under the Columbia River Treaty with Canada. In December 2013, the U.S. Congress conducted a “field” hearing on this Treaty in Pasco, Washington, hometown of Hearing Chairman “Doc” Hastings. No California Congressperson was invited to speak or attended. 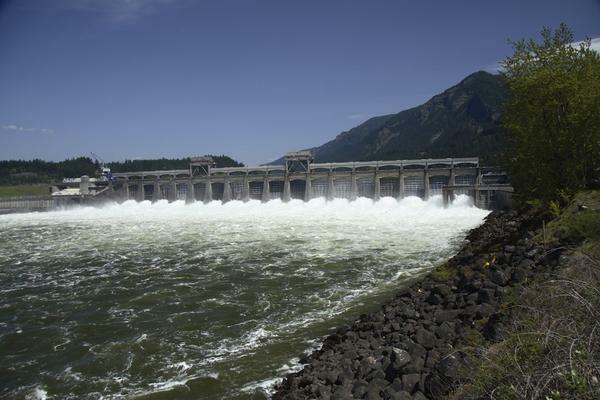 Earlier, Bonneville Power Administration (BPA) held public meetings inviting suggestions for Treaty renegotiation, but only in Oregon, Washington, Idaho and Montana. These Northwest States already have a glut of cheap electricity they want the Treaty renegotiated to provide some water for-fishing and farming, and pay less for power, but want all US taxpayers to pay more towards Northwest flood control. BPA’s Engineer John Hyde requested to investigate better Treaty options, but didn’t follow up, despite Canada’s immediate offer to cooperate*. BUT: The Treaty was also meant to provide for California’s needs President Kennedy ordered Bonneville Power Administration (BPA )to transmit Treaty hydropower,for 1.5 million Californians, to Los Angeles, which BPA did for fifty years,* At the Hearing, Canada’s Treaty Director Eichenberger officially offered to provide more water storage for droughts and more hydropower. Sadly, Hastings did nothing about California’s needs: #1 sharing Canadian water storage for droughts and #2 getting cleaner hydropower. If California’s needs were properly taken into account in the new Treaty, Californians could get options for more water storage for droughts and get eco-friendly hydropower for an additional five million Californians, which would avoid climate change, save 12 billion dollars, and cut their electricity bills by one-third. Hastings persuaded twenty-six Washington, Oregon, Montana and Idaho politicians to write President Obama to “renegotiate Treaty changes, by mid-year”. To sign the renegotiated Treaty with Canada, originally signed by President Eisenhower, President Obama constitutionally needs a 2/3 vote for Congressional ratification. Californians should write and call their Senators and Congressional Representatives, in California’s large voting delegation, to demand an independent investigation of Treaty options potentially benefiting Californians; as well as their kids, grand kids, and great grand kids over the 60 years of the Treaty period, 15 future elections and money-saving eco friendly hydropower. 7/ Murray, Hastings calls for action on Columbia River Treaty. Annette Cary, Tri-City Herald April 17, 2014 Updated 17 hours ago. 2014-04-18T05:38:12Z. 8/ Canada now wastes and spills water which could be stored for droughts and produce 3000 Megawatts cheap clean hydropower. 9/Canada has 5 million- acre- feet (Maf) potential “non-treaty” water storage for droughts (above what’s needed for flood control). 10/ 5 Maf is a lot of water- double what the California State Water Project now delivers, or 1/3 of water in 112 mile Lake Mead behind Hoover dam. Mr. Sandvig points out some of the admirable traits of hydropower and begs the question why is it the overlooked renewable. There are two specific problems holding back future development. But first, some context. The hydropower industry in the U.S. has been stagnant since the 1980’s. Total capacity has been stuck at approximately 100 GWs (by comparison natural gas generation added approximately 100 GWs over a three year period starting in 2000). Federal facilities account for approximately half of our existing hydropower generation, but given the realities of our budgetary constraints it is reasonable to conclude that any future development will be driven by non-Federal development. The question then becomes how do we unleash the private dollars necessary for this development? In the late 1970’s and early 80’s in response to the energy issues of the day, the Federal government tried to tap the country’s hydropower potential with the passage of five laws. There was a flurry of developmental activity during that period with the Federal Energy Regulatory Commission (FERC) receiving as many as 500 applications for new projects in a given year. But ultimately the Federal effort was largely ineffective as the lack of actual development demonstrated. That does not mean, however, that legislative relief is not needed today. The first problem involves policy. The legislative/regulatory environment for non-Federal hydropower development is not conducive to attracting the first dollar of investment. In the development of energy infrastructure there needs to be a clear path to a return on investment for any entity to invest the first dollar. The authorization process for hydropower is complicated and replete with off-ramps that make the risk of ever seeing a return on the first dollar spent unacceptable. There is a solution, however, that can be found in the Energy Policy Act of 2005. The legislative/regulatory environment created by this law for the natural gas industry can be used to establish a level playing field for all energy infrastructure including hydropower. Timeframes for federal action and clear lines of responsibilities were enacted for natural gas. Why not do the same for hydropower industry? 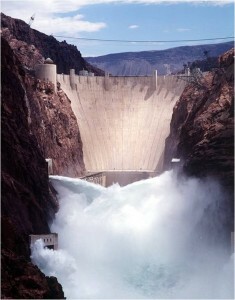 The second problem is in the hands of the hydropower industry. The cost of developing hydropower runs around $3,000 per installed kW (by comparison natural gas fired generation runs under $1,000). The industry must address this competitive disadvantage. Looking to the Federal government for incentives during a period of budget problems is not a reasonable solution (see wind development and Production Tax Credit availability relationship). Industry efforts to bring down the cost of constructing facilities is at least as important as creating the appropriate legislative/regulatory environment and will ultimately control the future of hydro. Where we focus our investments in energy infrastructure is an important policy decision that drives economic development and our prosperity. Existing hydropower is cheaper and more efficient; however, these facilities are reaching an age beyond their design life where significant reinvestment is necessary for reliable operation well into the future. However, national budget priorities are constrained and mandatory spending crowing out everything else (http://bit.ly/1i1KCwU). In the Pacific Northwest, this reinvestment, overhaul and modernization of the hydropower fleet is critical to our economy and North American energy security with the window for renegotiation of the Columbia River Treaty on the immediate horizon (http://bit.ly/1mm06zU). The Senate Committee on Environment and Public Works is holding a field hearing today in Conowingo, MD on a related issue. Entitled “Finding Cooperative Solutions to Environmental Concerns with the Conowingo Dam to Improve the Health of the Chesapeake Bay“, it will focus on Exelon’s dam on the Conowingo and its impact on the environmental health of the Bay. Does anyone have a perspective on that issue? If so, how does it fit into the context of the discussion we’re having here? Conowingo is a major clean energy provider. Unfortunately, since it is a hydro this truth goes largely unnonitced when Friends of the Green Horny Toad (sic) show up at a congressional hearing, arguing the dam should be removed. This is the plight of hydro: long established but largely forgotten as our country’s preeminent source of clean/green/renewable energy in its most useable form: electricity. There seems to be a reasonable understanding that hydropower could be a major contributer to our clean carbon free energy needs; although some may hold that water may be less renewable than oil and natural gas. I would support all forms of hydroelectric generation that can be constructed and operated economically. I believe there are numerous undeveloped applications that would meet this standard. HOWEVER, as the saying goes, we have met the enemy (Opposition), and it is us. It is not posssible (for a rational human being) to overcome the regulatory, political and environmental roadblocks that our lobbyists and politicians have created. No point in even considering hydro projects because there is little political will. No one can fix the hydro energy problem, absent a fix for the political problem. To resolve our energy issues….. we must first address the regulatory issues. So far, we have not even addressed the real (root cause) problem. A corrupted process, in which political power trumps energy supply. Hydropower is the backbone of America’s renewable energy past, present, and future. Currently the nation’s largest source of electricity, we’re constantly reminded of the tremendous untapped potential that exists throughout the country. Developing these untapped resources and reinvesting in our existing hydropower infrastructure will further the nation’s energy, economic, and environmental goals. Just last week, the Secretary of Energy announced several new hydropower initiatives that seek to double the resource’s contribution to the nation’s diverse energy portfolio. In a new partnership with industry, DOE will develop a roadmap for the next 50 years of hydropower in the United States. DOE also released a new resource assessment that found 65 GW of potential at undeveloped waterways in the U.S., adding to 2012 report that identified 12 GW of potential at the nation’s existing non-powered dams. Efforts are already underway to catalog the potential for new pumped storage and conduit hydropower as well. Maintaining and improving the nation’s existing infrastructure is also an economic driver that can add additional renewable energy to our energy mix and create jobs. Much of the nation’s hydropower generators are 50 years or older. Non-federal owners have been spurred on by incentive policies, such as the production tax credit, to reinvest in their infrastructure, upgrading or expanding existing facilities and achieving average generation gains of 10 percent. Federal owners, who own half the hydro capacity in the U.S., are also reinvesting in their infrastructure. The Army Corps announced back in February that it would invest $1 billion to upgrade 28 hydroelectric generations at 9 plants over the next 20 years in the Tennessee region. These new development and upgrades opportunities have huge job creation potential. A study conducted by Navigant in 2009-2010 found that 1.4 million cumulative new jobs could be supported through the development of 60 GW of new hydropower development, with the right policies in place. And we’ll need more hydropower in the future to provide for a secure and reliable electric grid. Looming carbon regulations will call for more renewable resources, including hydropower, wind, solar, biomass, and geothermal. Each brings its own unique benefits to the grid. Hydropower, both conventional and pumped storage applications, is dispatchable electricity that helps integrate intermittent energy resources. Congress must continue to pursue policies that address the barriers to hydropower development, as they did unanimously last year with the enactment of two bills to boost hydro. Incentives such as the production tax credit, reinvesting in federal infrastructure, funding a robust research and development program for new hydro technologies, and increasing regulatory efficiency in the licensing process all have strong public support and will enable the continued contributions of hydropower to America’s clean energy future. Linda Church Giocci highlights the vast” Overlooked” hydro potential from existing US dams needs modernising .There was a power glut 50 years ago so Hydro was underutilized and needs review today.“ Taxpayers may cheer, the hydro power discussed below may need no US government money ,because it could be privately financed with utility and municipal bonds ,like it was in the original Columbia River Treaty . Twenty six Oregon ,Washington ,Idaho and Montana senators and congress representatives gained big free publicity and voter credits ,by writing President Obama to sign Treaty changes in September 2014”, which will constitutionally need tough 2/3 votes in Senate and in Congress for ratification ..
Before the Treaty comes up for 2/3 vote in September ,alert California politicians could stand up und gain voter credits and free publicity for notably benefiting Californians , by writing President Obama or the State Department , to get independent California engineers ,economists and environmentalists to check out getting more water storage for future droughts ,when a connector between the Columbia and the California State Water System will likely be built, and also check out getting eco-friendly Columbia hydropower for 5 million more Californians, reduce climate change, save 12 billion dollars, and cut their electricity bills by one-third. Though I am coming late to the conversation, which has many positive points of discussion, I must say it is disappointing to see the effects of wholesale damming on migratory species, aquatic or otherwise, much less those which are simply dependent on certain flow/depth and temperature conditions ‘swept under the carpet’, so to speak. I do not care whether it is a dam, or a border fence, these blockade-technologies do irreparable damage to the environment. Freeflow hydro and other technologies which can produce limited but less intrusive sources of clean energy, in concert with consumers using more energy efficient appliances and electronics should be explored, imho, much more fervently than I see happening today. Why is it that humans think it’s ok to monopolize a resource, when in fact we are only harming ourselves by thus altering the ecosystem that has evolved over hundreds of thousands of years? I read about this today: http://inhabitat.com/baltimores-solar-powered-water-wheel-devours-50000-pounds-of-harbor-trash-every-day/waterwheel-baltimore_-24/?extend=1 and thought it really addressed the best of both worlds; cleaning up our past transgressions, and producing usable energy from the waste collected. One example of many similarly-minded options, the nature of which I hope will come to dominate clean-energy investment. While there are many benefits of hydropower, this is not to suggest that our clean hydro legacy didn’t come at a cost. In the Pacific Northwest, building and operating what remains one of the largest renewable energy systems of its kind had a price tag in terms of the effects of the dams on fish and wildlife and on tribal culture and posterity. Fortunately, we’ve been rectifying that situation for several decades and are now implementing the largest fish and wildlife restoration program in the country and probably the world. Over $13 billion has been invested in restoring the salmon and wildlife ecosystem since the 1970’s with $250 million being spent every year in on-the-ground projects to mitigate past damages and $100 million of that dedicated to the four Northwest states and over a dozen tribes.